Making salads is not really a hard thing. 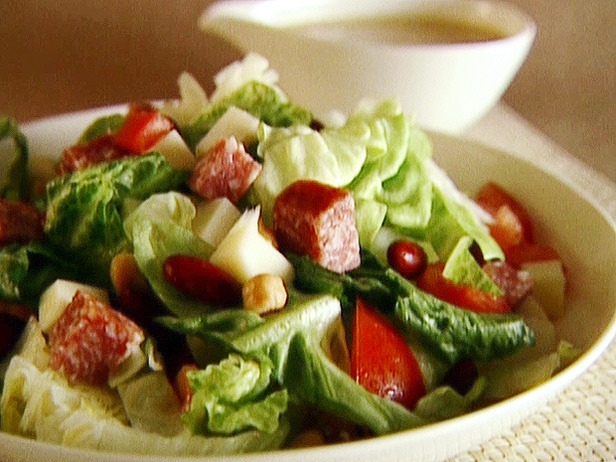 The best thing about making salads is that you do not necessarily have to be a great cook in order to whip up a delightfully tasty salad. 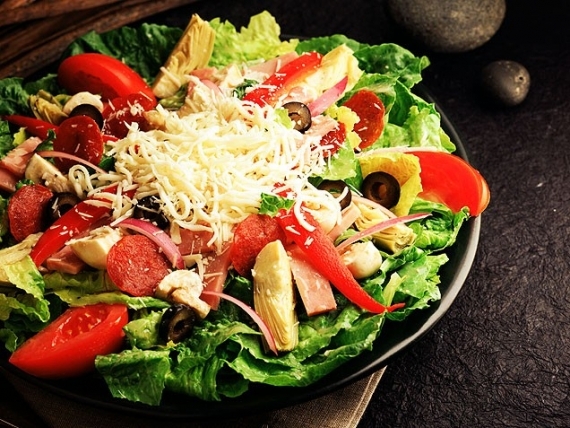 Each salad has a different feel to it and the same goes for the very delicious Italian Antipasto Salad. 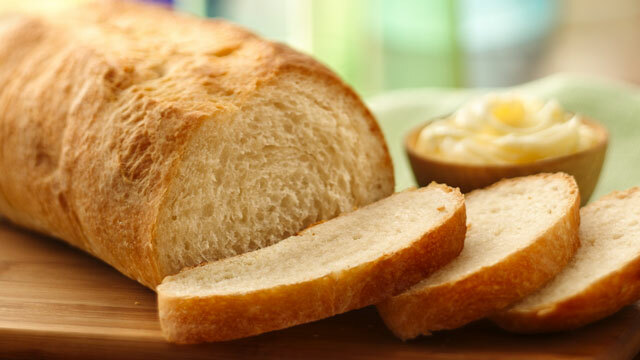 However, before going towards the recipe, make sure that you get yourself a nice bottle of wine and a fresh loaf of Italian bread as without these two things, you might not enjoy eating your salad that much. Try picking up two nice bottles of the Castello D’Albola Chianto Classico. However, you can try any wine with this salad. The beauty of Italian food is that it should sing and your salad should have this sing song look about it in order to give it that peculiar Italian feel. Many famous chefs in Italy say that preparing any kind of food and salad under the influence of wine can be a really rewarding experience so it might be better if you have a sip or two of the vine that you purchased. Utensils: Large bowl, knife, serving platter, spoon, plate & scoop. Smoked Honey Ham sliced thin: 1/2lb. Hot or mild Copacolla sliced thin: 1/2lb. Genoa Salami sliced thin: 1/2lb. Fresh Buffalo Mozzarella cheese: 12oz. Marinated Italian Green Olives: 1/2pd. Roll the ham prosciutto, salami and capicola into the toothpicks and then arrange them on a serving platter in a way that they don’t fall out. Slice your mozzarella cheese into ¼ inch pieces and arrange these pieces properly. Do the same thing with you fontinella and asiago cheese but slice them into ½ inch pieces. Slice the artichokes, pepperoncini and red peppers and then arrange them. Carefully place the olives on the plate and make sure they serve as the topping. Slice the bread into delicate pieces.